For the first time since I started my new old job, Chris and I had a weekend off. Okay it was Wednesday and Thursday, but it’s my weekend, and more importantly it was two consecutive days off together. Before that we had one lonely single day off. Wednesday was a day of errands and sleeping. But even that was really nice. I love having Chris home, even when I am essentially not paying any attention to him at all. 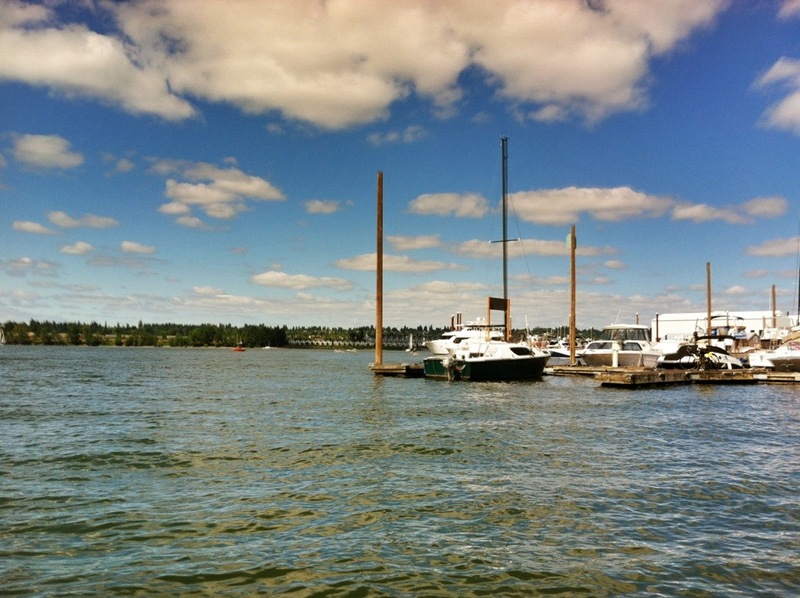 On Thursday, we we celebrated the 4th with friends near Hayden Island. I paddle boarded, we cruised the harbor in a little motorboat and had a feast dockside. It was lovely. I was with Chris :). We headed home before the fireworks and had an early evening in. It was the first time ever I have felt rested and rejuvenated before I headed back to work. This is what people who have normal weekends with their family must feel like.